We throw around geeky shorthand like it’s nothing. We all love a LARP, get annoyed when people are AFK, and, of course, we can’t get enough of the MCU. But about that last one… it turns out Idris Elba, a bit-part player in five Marvel movies to date, doesn’t have a clue what the MCU stands for. I’m not quite sure how he doesn’t know either, but here we are. 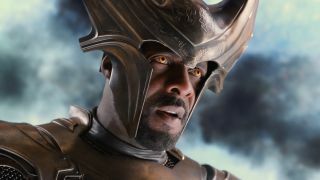 Speaking to Yahoo Movies, Elba – who played Heimdall from the Marvel early days in Thor right through to Thor: Ragnarok and Avengers: Infinity War – was pressed with an MCU question and wasn’t quite sure what was going on. In fact, he had to clarify what it meant. That sound you can hear is millions of Marvel fans cringing out of their skin. Far be it from me to suggest that Marvel Studios boss Kevin Feige should have swooped in with a chalkboard so Idris Elba could have written ‘MCU is the Marvel Cinematic Universe’ over and over again, it is pretty hilarious for the actor to have (presumably) heard the acronym MCU for nearly a decade and just thought everyone was talking about a football team. FFS, Idris! It might be a good idea for someone to tell him what 007 means, lest he becomes the new James Bond. At least Idris Elba isn’t blissfully unaware about the MCU anymore – and kudos to him for learning new things, bless him. Here's a taste of MCU 101, Idris (and anyone else who wants to revel in all things Marvel): the best Marvel movies and all of the new Marvel movies coming our way up 'til 2020.